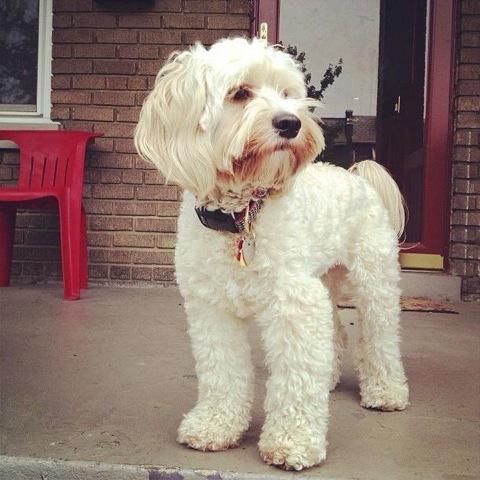 The photo above is of a 2.5 year old female cockapoo named Margo – blonde coloring, about 25 pounds, and recently groomed; she was stolen from my friend’s home last night in NE DC (1500 block of D St NE). She is microchipped (ID# 985121010681957) and was last seen with a black and white collar with red trim. The robbers broke into the basement, took some trivial electronics, Margo, and her dog food. If you see her or have any information as to her whereabouts, please contact me or the DC police’s tip line at 202-727-9099.